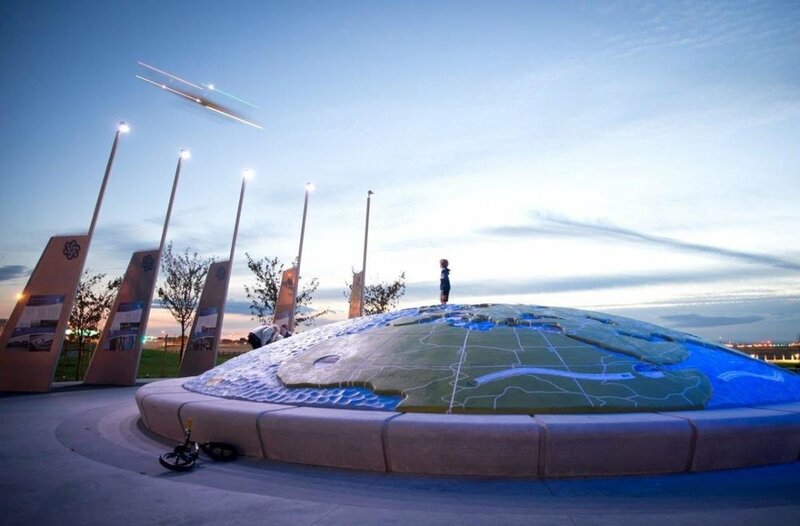 Wavestone Sculpture in collaboration with Three Dimensional Services produced a 34' sculpture of planet earth. 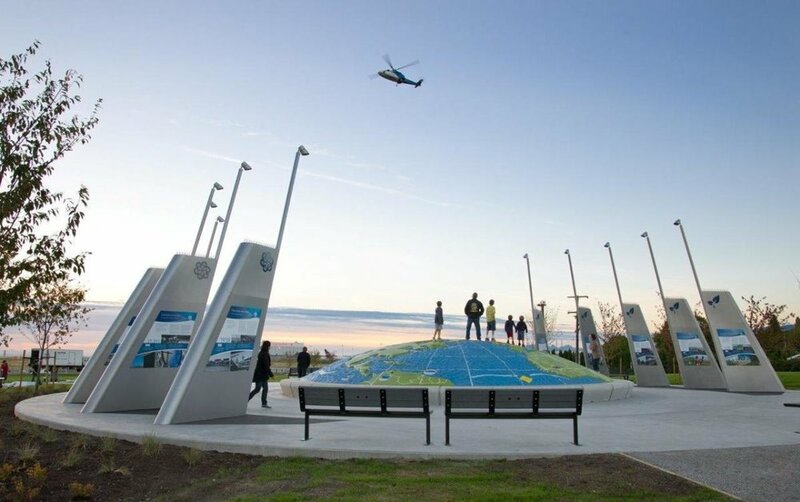 The sculpture is the centerpiece for the new Larry Berg Flight Path Park located at the Vancouver Airport. 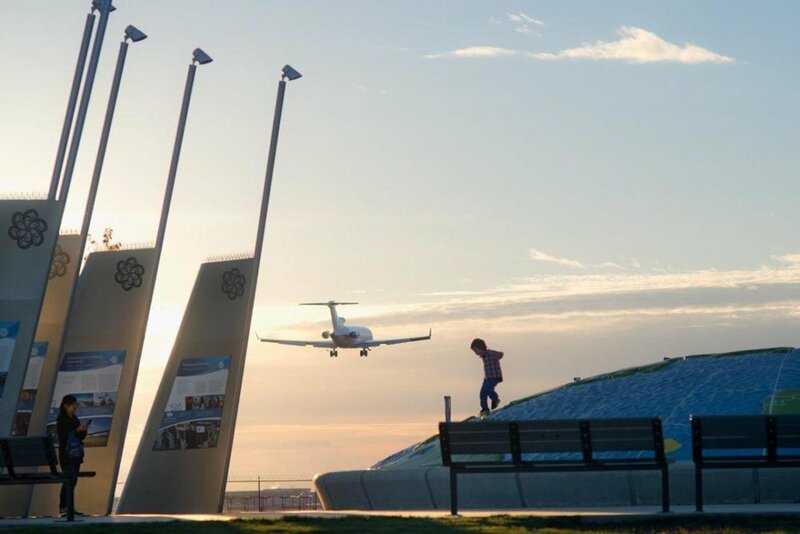 Visitors are encouraged to climb and explore the earth dome to discover various interpretive elements. 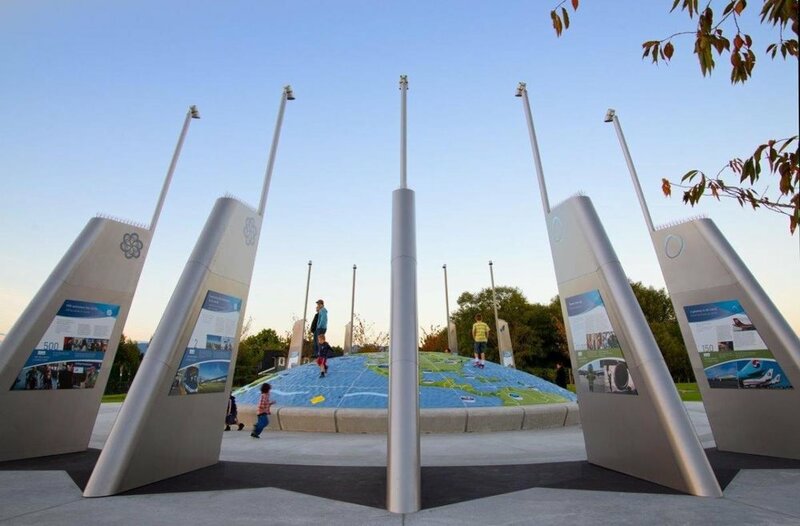 The park opened this fall 2013.